Take advantage of our Annual NILC course Holiday Sale! The gift of learning can be the perfect present for your loved one, your friend, your employee, or even yourself – it’s a gift that keeps on giving!!! They will earn required CE credits for license renewal plus increase their knowledge and skills in the fascinating realm of nursing informatics! This month all courses are offered for 20 to 50% off the usual low tuition fee. The Holiday sale extends from December 22nd through December 31st, 2018. 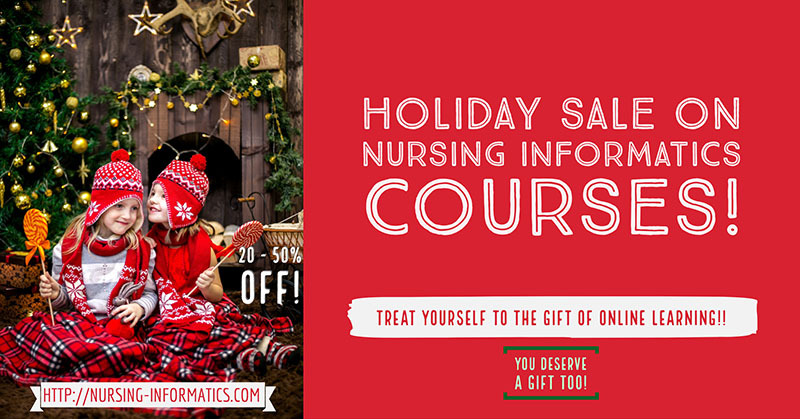 Note: If you are buying a course as a gift, let us know! 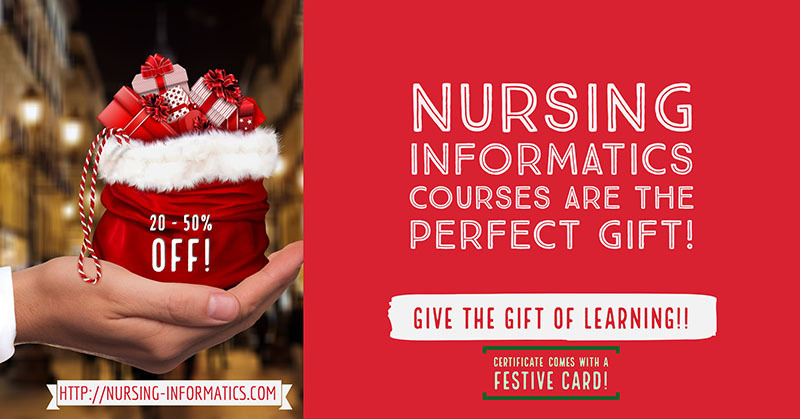 We will create a festive card and certificate with a nursing informatics theme and deliver them either digitally or via postal mail (your preference). No extra charge!! CHECK OUT OUR HOLIDAY SALES NOW! !